← 5 holiday gifts to put on your list if you’re dating a millionaire… and have been very good this year! Take a tip from Mercury in tight-lipped Capricorn. Be more withholding rather than divulging everything right away. That way the other party has to follow your lead. True friendship isn’t based on who you know. It’s based on the people who truly know you. It would be easier to duck out of the problem you face but your interest’s piqued. Besides you’ve never been one to walk away from a riddle. You care more about substance while someone else looks quite taken with appearance. Show this person how one adds to the other, not detracts. A problematic situation is settled once and for all. It’s true that you’ve heard this before, but this time it’s for good. Does the current life path look familiar? The wonderful thing about learning from the past is getting a chance to apply it to the here and now. The only way to get out of a jam is by distancing yourself from someone you said you’d stand by. Inch your way towards the door and maybe he won’t notice. People can try to justify their actions all they like. You know you’re right and shouldn’t budge until they owe up to their mistakes. Mercury in Capricorn means paperwork. As you fill out forms in triplicate (or even quadruplicate), remember this will protect your interests. Never one to take risks when it comes to money, you surprise yourself (and others) by pursuing an unusual offer. This proves fortuitous. It’s not easy going slow while others race ahead, but there’s a reason why the tortoise always beats the hare. 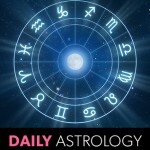 Mercury in Capricorn makes this the perfect time to have a discussion about a sensitive topic. The tone for the day is dispassionate yet respectful.